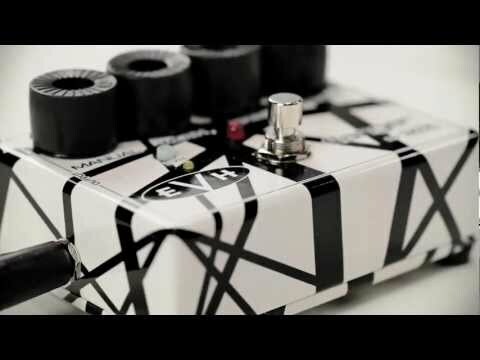 35 years after Van Halen's incredible debut album, MXR celebrates by releasing a Limited Edition version of the EVH Flanger. *** SPECIAL O..
35 years after Van Halen's incredible debut album, MXR celebrates by releasing a Limited Edition version of the EVH Flanger. Buy now and get a FREE Dunlop power supply, normally worth £19.99, while stocks last! Act fast as the offer will only run while stock last! The MXR EVH117-SE Eddie Van Halen Signature Flanger 35th Anniversary edition boasts the distinctive red, black and white stripes of Eddie Van Halen's 'Frankenstein' guitar. This updated model comes with the EVH Switch, which instantly calls up Eddie's "Unchained" sound with the exact settings used to get the original guitar tone. On top of that, it comes painted with the cool striped graphics Eddie used to customize his guitars.